Chris Weitz last film was "The Twilight Saga: New Moon" with Summit Entertainment. While Chris was working on New Moon Summit approved to finance his follow-up "A Better Life" which stars Demián Bichir as a illegal immigrant father trying to provide for his son in Los Angeles. Director Chris Weitz was first to say that he likes to "try something different every time." He mentioned that most directors want to establish a representation by doing the same sort of film but as Chris said, "it's never been my thing." What a lot of people do not know is that Chris Weitz great grandma is Mexican. Early in her twenties she was scouted by a Hollywood agent in Mexico and brought to the United States to be a silent film actress. With that background knowledge producer Christian McLaughlin (Legally Blonde) brought the script to Chris Weitz two or three years ago to see if he was interested. Weitz said he instantly clung to the script, calling it "irresistible," also wanting to make the movie for personal reasons. Weitz said he is the first generation of his family to not speak Spanish and he aimed to change that while making the movie. One big factor director Chris Weitz nailed home during the Q&A was that he wanted to make a movie that meshed with the community he was making the movie about. "It was important to mesh with communities we were going to be shooting in," Weitz said. The production in fact had advise from Homeboy Industries Executive Director Father Gregory Boyle and his Associate Executive Producer Hector Verdugo. Homeboy Industries helped them with shooting locations and even script ideas. Homeboy Industries came aboard because they loved the way "A Better Life" portrayed gang members as people with families and as human beings rather than villains and thugs. The script did not "demonize" them into bad people. Hector Verdugo who grew up in Ramona Gardens even helped to make a couple alterations to the script. As director Chris Weitz put it, "he helped to make the film more authentic." Chris Weitz also went on to say how important Homeboy Industries was to making connections and getting approvals in the community rather than just coming in and paying off community members to deal with film crews filming in their hood. Not only do the connections made in community come through on screen with authority but so does the film's production value on such a limited budget. Reading the script director Chris Weitz believed there were certain things they just wouldn't be able to do, but despite is lack of optimism there they are on screen. One example is a rodeo sequence where Carlos and his son Luis spend time waiting and also reminiscing about the past. The sequence expresses how much "A Better Life" is focused on the characters versus the situations or the political debate the film could stir up. This scene feels like they just stumbled right into the locations. 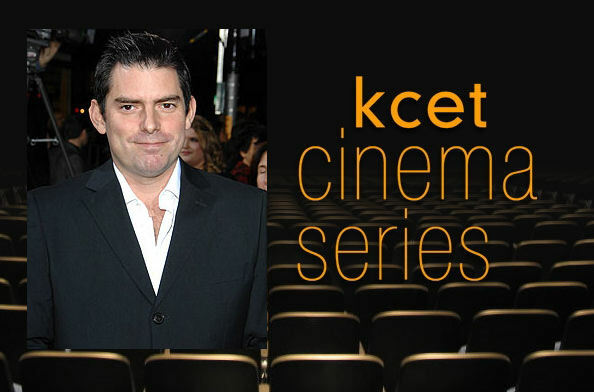 Weitz explained that screenwriter Eric Eason learned about a rodeo in Pico Rivera and wrote it into the script. After tracking down Toby de la Torre the owner of the Charros Federation for Los Angeles, the crew were able to film in the location for two days. One day with the full rodeo going on and a second day on their own. Producer Christian McLaughlin added that he began to notice that Toby and other locals were beginning to show up to a number of the 70 shooting locations across the greater Los Angeles further hammering home the feeling of community the crew wanted to establish. Chris Weitz also mentioned that a rally based off the recent Arizona Law aimed at identifying, prosecuting and deporting illegal immigrants helped to add "tremendous" production value. A scene in the script that included a SB 1070 rally was one that Weitz feared would never happen but when L.A. morning radio jock Piolín who was organizing a demonstration asked Weitz to join, the director quickly realized his 2nd unit would be able to use this event as a backdrop to the particular scene. Weitz was clear to say that A Better Life does not, "stand on a soapbox" instead it is "a story of a father and son and what people will do to live in this country." Having seen the film I completely agree with this point. The story invites sympathy but this film is not preaching to the choir. It will probably make the audience think twice, but it has a clear path which is not display some political agenda. Carlos Galindo (Demián Bichir) is an invisible character and that is intentional says Chris Weitz. "We wanted no one American audiences would be immediately familiar with." He added, "It was important not to take out insurance on a star." Weitz and producers believed that if Summit went after a Benicio Del Toro or Javier Bardem type the film could quickly not be what it was intended to be. For a very good reason "A Better Life" is filled with a cast of unknowns. 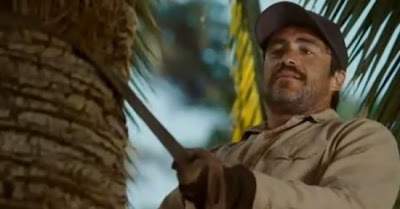 The son in the film Luis, is played by José Julián, a first time actor but you couldn't tell from the performance on screen. 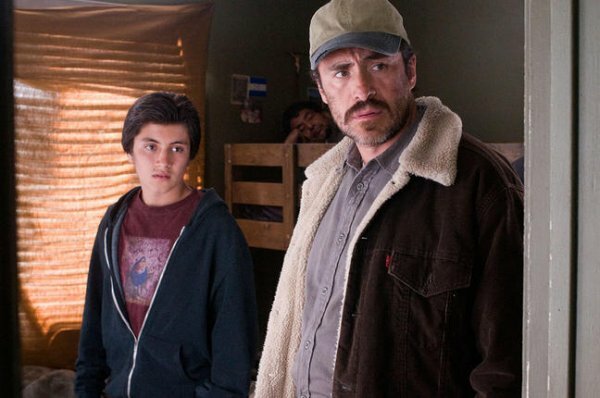 Chris Weitz noted that when Demián Bichir and José Julián tested together they "immediately felt like father and son." During the Q&A it was asked how much thought went into the similarities between Vittorio De Sica’s classic film "The Bicycle Thieves" and this film. Weitz was quick to reply saying that there are "kernels of similarities" but "from the ground up it was a original story that was developed off something that happened to someone they knew." In actuality this script has been around for 25 years. Roger L. Simon wrote the story based off a gardener he had whose truck was stolen. When Roger wanted to help his gardener, he revealed to Roger he was an illegal immigrant and could not involve the authorities to help. From there the script was written and has been floating around ever since. Weitz did close the question by saying "it was blasphemy to compare his film to such a seminal film." "A Better Life" is set for limited release on June 24th in New York and Los Angeles. Like so many of the other films showing during the summer series, these films will open small and grow by positive word of mouth. Stay tuned for more from KCET's Cinema Series running through August 2nd in the coming weeks and look for my review to A Better Life later this month.